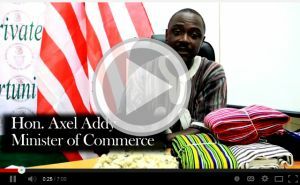 The government through the Ministry of Commerce and Industry has introduced a National Quality Award program which aims to encourage businesses to prioritize the creation of quality products that will compete on the global market Commerce Minister Axel Addy said the introduction of the award is another clear indication that the Government is committed to intervening to address problems associated with the poor quality of products on the market. The National Quality Award will serve as a promotional tool to encourage business owners to prioritize quality in order to boost their market value and give them the advantage of exporting their products more easily to the international market, Minister Addy explained. “The goal of this award is to promote and review excellence in organizational performance through quality awareness, and understanding the requirements for quality products. “In addition, we know that quality is particularly a matter of public health and consumer protection and a basis for business sustainability,” said Addy. He expressed the hope that the award program will encourage local business owners to take advantage of the opportunity to align themselves with best management practices in accordance with international standards, and will help create the environment wherein they can compete at regional and international levels. 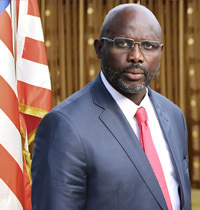 The award is open to legal companies, local manufacturers and all businesses operating in Liberia, said Minister Addy, adding that the winner of the diamond category will have the opportunity to participate in the Economic Community of West African States (ECOWAS) Quality Award later this year. 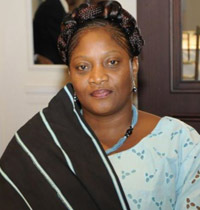 The ministry has put in place the required structure for organizing the award in keeping with ECOWAS’ rules and regulations, which include the organizing committee, the technical secretariat, the jury and auditors, Minister Addy assured.